By using AWS, Enel is saving 21 percent on compute costs and 60 percent on storage costs, has reduced provisioning time from four weeks to two days, and has transformed its business. Enel is an Italian multinational manufacturer and distributor of electricity and gas that serves 61 million customers. Enel uses AWS as its platform for IoT and energy management. 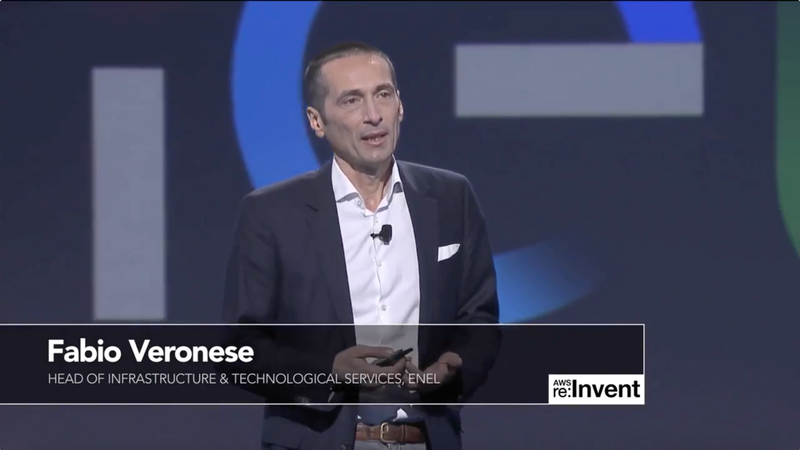 Fabio Veronese, Head of Infrastructure and Technological Services, spoke onstage at re:Invent 2016. To learn more about how AWS can help you manage your IoT platform, visit our AWS IoT details page.